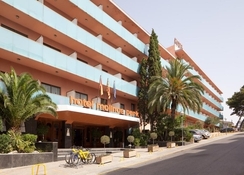 Surrounded by the typical Mediterranean thickets, Hotel H Top Molinos Park is located in the quietest area of ​​Salou, about 150m from a tempting beach. Around the hotel guests can find numerous shops, bars and restaurants. This 6-storey hotel has a total of 246 guestrooms and includes a restaurant with air conditioning and high chairs for children, a bar and a café. Guests will also have at their disposal a games room and a TV room, as well as internet access, an outdoor swimming pool and the kids' club and play area will delight the little ones. Also, guests arriving by private vehicle can park it in the parking lot of the property. On the hotel’s rooftop / terrace you can enjoy a relaxing time in Jacuzzi. Children too will have a great a time as the hotel features a kids' club. There’s a children's pool as well. 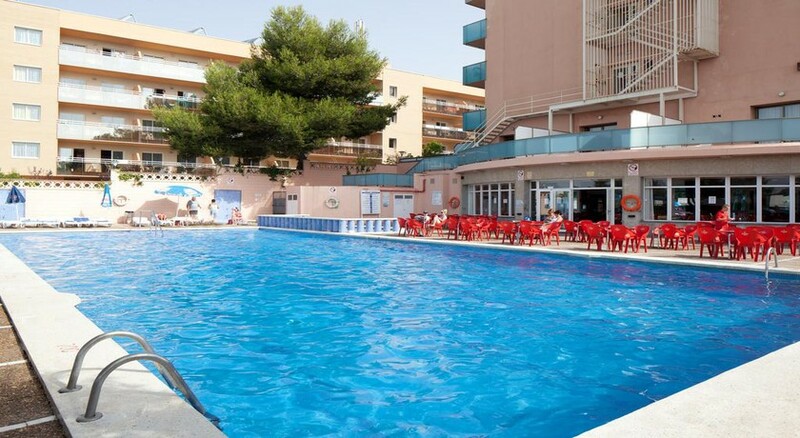 H Top Molinos Park provides a peaceful setting between Salou and La Pineda. Explore the area around the hotel and get to know Spain a bit better. 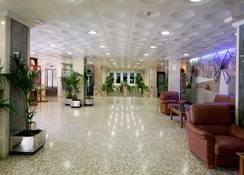 The hotel is located within walking distance to the city center. The beautiful beach is not far away. 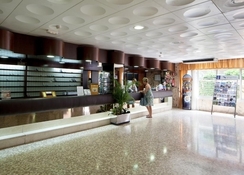 The Reus airport is about 15km from the hotel. 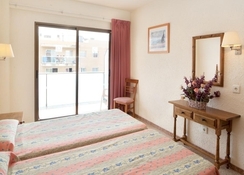 You will feel at home in any of the 246 air-conditioned rooms at H Top Molinos Park. Almost all the rooms have balconies and come with Wi-Fi Internet connection (for a fee). The ensuite bathroom with a bathtub or shower comes with complimentary toiletries and a bidet. 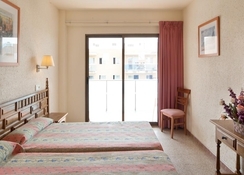 Guests can choose between double rooms and family rooms. 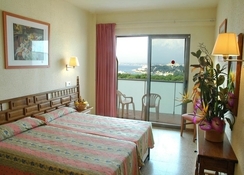 Enjoy a beautiful double room with air conditioning, a safe for your valuables and satellite TV. In the bathroom with tub and bidet you will make yourself fresh. The family room at Hotel Top Molinos Park sleeps up to four people. Enjoy delicious dishes in the main restaurant of the H Top Molinos Park. Here you can look forward to the beautiful selection and Spanish delicacies. Round off the day with refreshment at the hotel bar and enjoy cool drinks a day at the pool bar. Here you will get to meet new people. At H Top Molinos Park there’s not a dull moment. The hotel has a great outdoor pool as well as a children's pool. On the rooftop terrace you can use the jacuzzi while enjoying excellent views of the city below. The hotel offers aerobics classes as well. Kids can have their share of fun at the kid’s club. Lovely holiday staff was very helpful and always smiling especially the restaurant manageress..hotel was clean bar staff and entertainment staff was all very good. Really clean rooms food was great catered very well for the children.Reception staff were lovely and Sandra who we bought tickets for days out was excelent . Entertainment could be abit better but had a lovely holuday would definately go back.Thanks to all at hotel.